Figure 1: Lab-processed acrylic night guards (occlusal guards) are made to be worn over the upper (maxillary) teeth. Night guards (also called occlusal guards, splints and bruxing appliances) are made of rigid or semi-rigid materials like laboratory-processed acrylic. They are generally made to be worn over the biting surfaces of either the upper or lower teeth, and are easily inserted and removed by the patient. Reduce the heavy forces generated by the jaw-closing muscles. Figure 2: Front view of the night guard in Figure 1. Night guards protect teeth and jaw joints. Night guards can prevent damage to teeth and dental restorations, saving the time, expense and potential discomfort of fixing problems that result from clenching the jaw muscles and grinding the teeth (bruxism). They can also be used to treat patients with temporomandibular joint (TMJ) dysfunction and pain (TMD); and people suffering from jaw/facial muscle discomfort and fatigue (myalgia). It is important to understand how night guards work, to decide whether you are a patient who might benefit from the use of night guards. In the absence of TMJ problems (TMD) or jaw/facial muscle myalgia, is important to establish that a patient has a current bruxism or jaw clenching habit before prescribing a night guard. Patients who have undergone episodes of clenching or grinding their teeth in the past may have teeth that exhibit significant signs of wear. However, they may no longer have the habit. Prescribing a night guard for such a patient may not be helpful, incurring unnecessary cost for the patient and their dental plan. 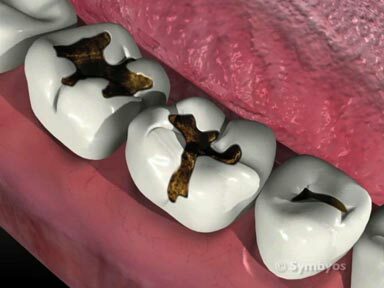 What else causes tooth wear? Bruxism isn’t the only cause of tooth wear (attrition). Malocclusion and factitious habits can also cause tooth wear. Malocclusion is a term for teeth that are poorly aligned don’t mesh properly. Poorly aligned teeth can wear at an accelerated rate even under normal function. If you have this problem, ask your dentist if orthodontic treatment might be an option. 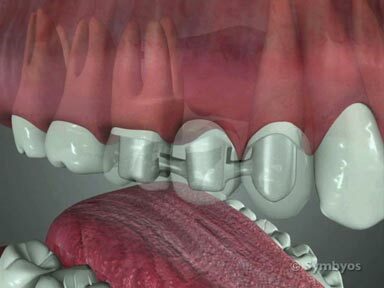 Learn more about malocclusion on ToothIQ.com. Learn more about factitious habits. Factitious habits is a dental term for using your teeth for purposes other than chewing food. Repeatedly chewing on hard or abrasive objects, biting your nails, grinding sunflower seed husks and other habits like these can accelerate the formation of flattened planes (wear facets) and chips on your teeth. Night guards won’t help with this, but you may need the chipped or worn teeth repaired with bonding, fillings, or crowns. You should try to quit the habit to avoid the re-occurrence of the resulting dental problems. The dentist will sometimes have you rest your front teeth on a tongue depressor for a few moments to de-program your jaw closing muscles and allow them to relax. He/she will be able to tell when the muscles are at rest, because it will be possible for the dentist to move your lower jaw for you. Once the dentist can manipulate your lower jaw, they will gently position it into a stable jaw joint position known as centric relation. In this position, they will use any of several materials (e.g. wax, silicone, etc.) to record the position. The selected material will record the position of the upper and lower teeth (interocclusal record), when your jaw is positioned in the centric relation position. Next, impressions will be made of your teeth, and a dental stone material resembling wet concrete is poured into them. When the dental stone hardens, it produces a very accurate replica of your upper and lower teeth, on which the night guard will be made. 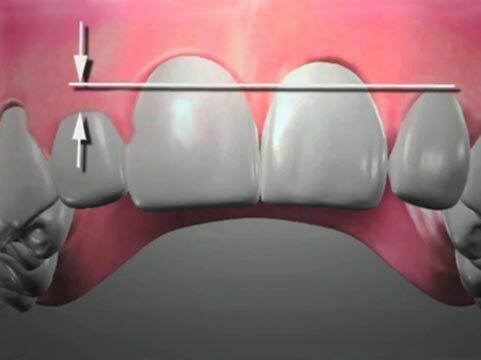 The stone casts of your teeth will be mounted onto a jaw simulation tool called an articulator, with the teeth positioned correctly using the interocclusal record. A lab technician will use wax to build the night guard on the stone casts. When complete, the wax model will be surrounded with plaster (investing) in such a way that a two-piece mold of the night guard is formed. The wax is then melted out, and a heat-processed acrylic is placed in the mold and allowed to harden. After trimming any sharp edges and polishing the night guard, it is ready to be delivered to the patient. The dentist will make any adjustments to the night guard that may be necessary, and will provide you with instructions on wearing and caring for the appliance. You may or may not require follow-up appointments to adjust the night guard further, depending on the goals of treatment and other factors.